If you have a business or service, what’s the one thing you’re always looking for? Adding to your customer base for increased sales, of course! 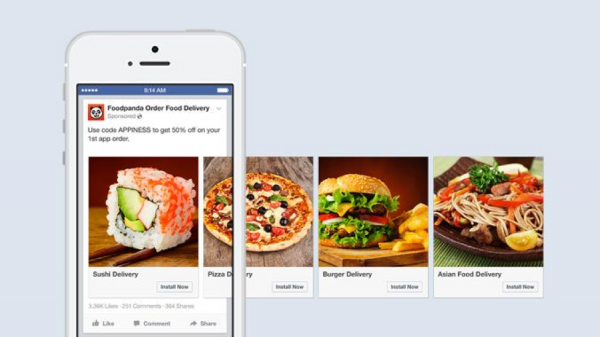 Do you use Facebook as a marketing tool? Facebook remains the most widely used social network, so learning to use all of its most valuable features is always a good idea. The great news for you is that Facebook has a super useful feature that has been around for a year or so, but recently added a mobile application. We live in an age that offers instant access to knowledge. With the combination of busy lives and better technology, consumers welcome and even expect, marketing that gives them as much information as they can get, where and when they want it. Enter Carousel Ads from Facebook. Here is a summary of the features and benefits of this type of digital advertising. 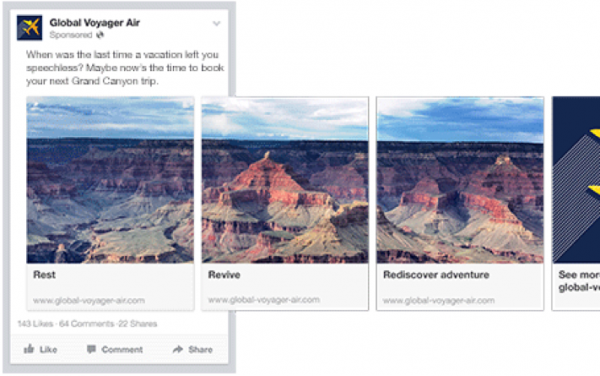 With one ad, you can share as many as five images in a sliding format. Think of all the possibilities this format open up for you! Feature five different products that a customer can click on to purchase or get more information. Show your sole product offering being used in five different ways. Highlight five different clients with different demographics using your service. Complex products have five photos to illustrate usage. Tell your company’s story or visually explain how you have made a difference for a client. And if your business has anything to do with travel or outdoors, you now have a way to showcase your breathtaking, panoramic photos. You have the option of using video, as well. Now you can use videos you already have, or create new videos, specifically for these ads. While this additional feature may open up amazing possibilities, don’t let the endless opportunities it creates keep you from exploring this powerful option. If you’re not sure how to leverage this feature, go back to your overall marketing strategy. You might want to try a targeted campaign and run a side by side comparison to measure specifically, how these ads perform for you vs. a regular, single linking ad. Each image can include a headline, link or call to action. So, you have their attention, now get them to take action! Here is where you can really take advantage of this new kind of ad, but again, make sure you’ve optimized your strategy to get the most out of each “card”. You can link to different landing pages, have people head straight to a product page to order, or spotlight your new mobile app and encourage a customer to download it immediately. One company wanted to drive website sales, and orders increased four-fold in two months. With up to five opportunities in one to convert clients, your cost per conversion, or click, will be less. Well, that is the name of the game, isn’t it?! Increase your sales and decrease your expenses are the two ways to increase your profit and this new marketing method helps you with both! On average, this new format is driving 30%-50% lower cost per conversion than single image link ads. 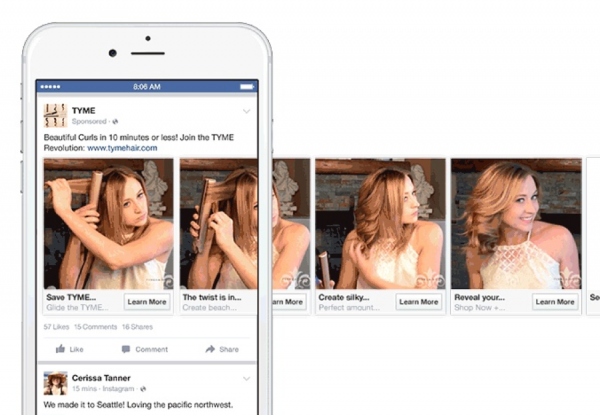 Now Facebook has added a mobile application for Carousel Ads. Shades of a very popular personal site for young consumers, with all the benefits of three features, are now available on mobile. That means that this demographic will know exactly how to use this new ad type and adoption will be immediate. If you have millennials in your target demographics, you can’t not use this application. While video is not yet available for the mobile application, the strength of this platform is proven. Now is the perfect time to be working on a new mobile ad campaign. This new application of technology is a first for ads. Be on the forefront of technology so that your ads stand out from the crowd and start the buzz on your business! A service business gained 6,000 new newsletter sign-ups and saw a 50% increase in click-through rate. The format has been so successful, look for it coming to Instagram soon. 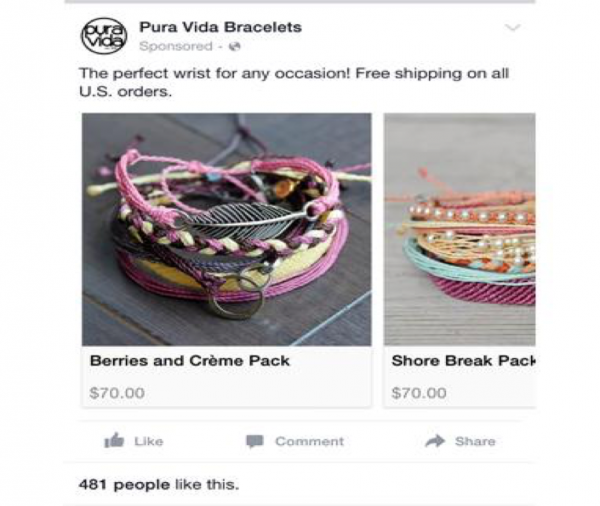 With the kind of success Facebook’s Carousel Ads are giving companies, you just can’t afford not to check into them. If millennials are part of your demographic, you need should implement them ASAP. Take a look at your marketing strategy and see how these new ads can contribute to your goals. Here’s to more digital marketing success! Laura O’Donnell writes smart content on behalf of the digital marketing experts at Marketing Zen. Find her on LinkedIn.